With budgets spread thin this time of year it’s easy to get overwhelmed when coming up with gift ideas that are special but don’t break the bank. Instead of shopping in the pre-made, and often over-priced, gift areas of your local big box store, avoid the crowds and consider making something yourself. Not only are they more unique, but I believe they’re more appreciated because they come from the heart. Plus, it gives opportunity for your kids to get involved. Maybe this would be a fun girls’ night activity! Start by gathering your supplies. For these cozy corner gifts I used a variety of ribbons, floral accents (incredibly affordable and SO cute all found for under $1), fabric (mine are from a quilt kit but you could use scraps or burlap), small gift tags, sharpie markers, stickers and glitter paint/glue. You’ll also want to find some fun containers. I’ve shown three options here. The first is a mug (purchased for 80 cents at Walmart; even cheaper than the dollar store), a canning jar, and the empty Tang/lemonade container leftover from my tea recipe used to fill it (by far the most affordable since it’s free with the drink mix). 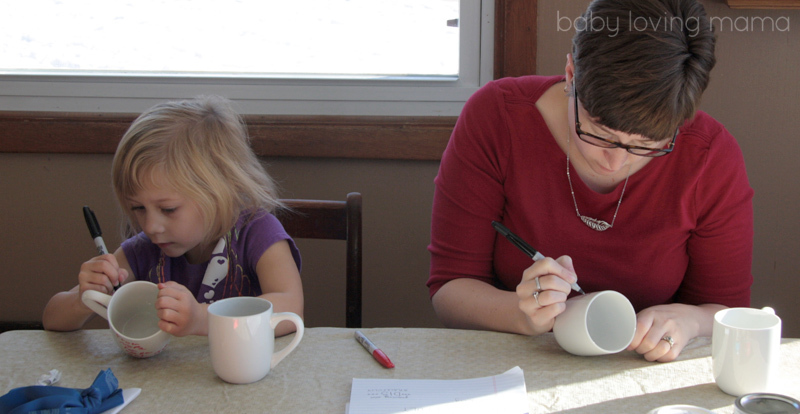 Gather your materials for the mug decorating. A simple ribbon on the handle is beautiful if you want to keep this one simple and let the design on the mug itself take center stage. 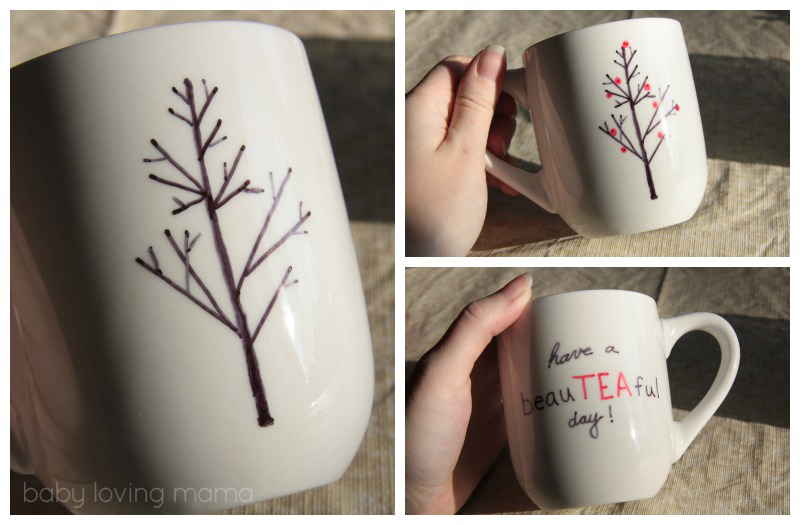 If you have an inexpensive mug (the cheaper ceramic finishes actually work best) you can create your own design and personalized message with a Sharpie marker. There are tons of tips and tutorial sites for these online. 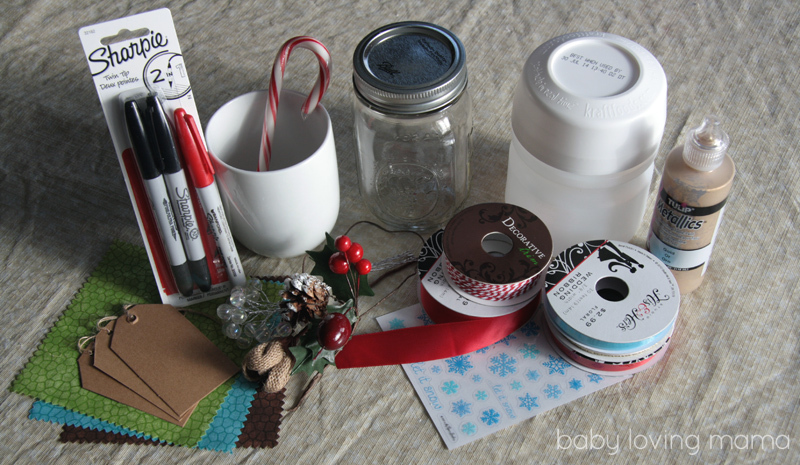 Most suggest using the oil based Sharpie markers (which I didn’t have on hand) or I love the ceramic pens which I used on the Giving Plate tutorial. This is a fun one for the kids to get involved with. Some day you can look back and admire their unique drawings and spelling. For best results I’ve found going over the black lines twice provides a darker finish after baking. Let dry for 24 hours and then back for 20 minutes at 350 degrees. 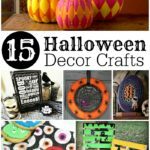 Let cool and decorate! I chose to add this beautiful floral decoration which had a nice long wire for wrapping it to the handle. First I added a bit of fabric behind it. I folded the fabric so it had a triangular point at the bottom and stapled it to the wire before attaching to the handle with the wire. I added a beautiful little red and white string for a bow and then found what I wanted to tuck inside. 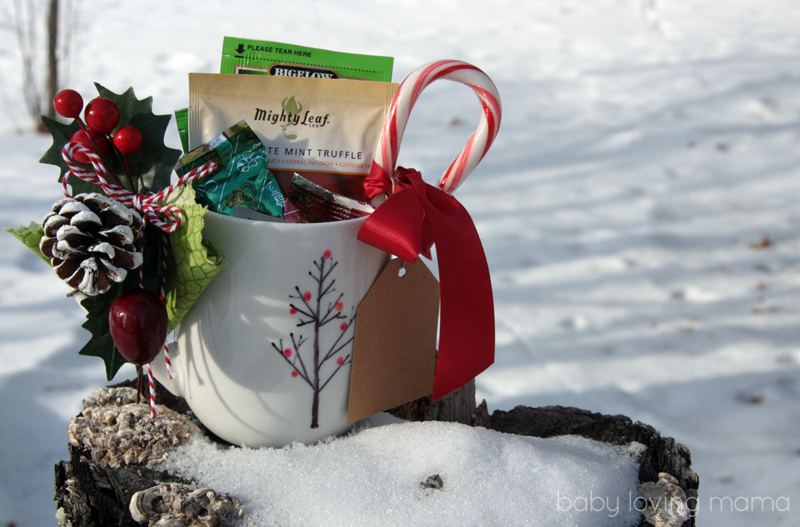 Since my personalized message was “have a beauTEAful day!” I chose to include mint tea, chocolate mint truffle tea (SO good), Andes chocolate mints, and a candy cane. I tied my gift tag and added a big red bow to the candy cane before tucking it inside. Done! Do you have a friend or family member who loves tea? Maybe this is the perfect gift for them. Next I felt inspired by the wintery wonderland outside my window so I chose a teal blue color palette and these beautiful glass accents. This is a more neutral winter gift to use in the new year if you’d like! In order to empty the container for this one you’ll need to mix up the Russian Friendship Tea first. 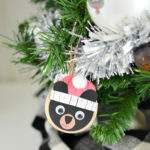 Emilie shared her recipe here (and beautiful decorating ideas of her own). Tip: If you don’t like cloves (which I don’t) it tastes just as good without them. This is by far my favorite winter drink. This recipe is great for little ones to help with. Once you have your Tang or lemonade container empty you can get to decorating. Since you’ll be putting your tea mix back into this container once it’s decorated there’s really no need to even wash it! 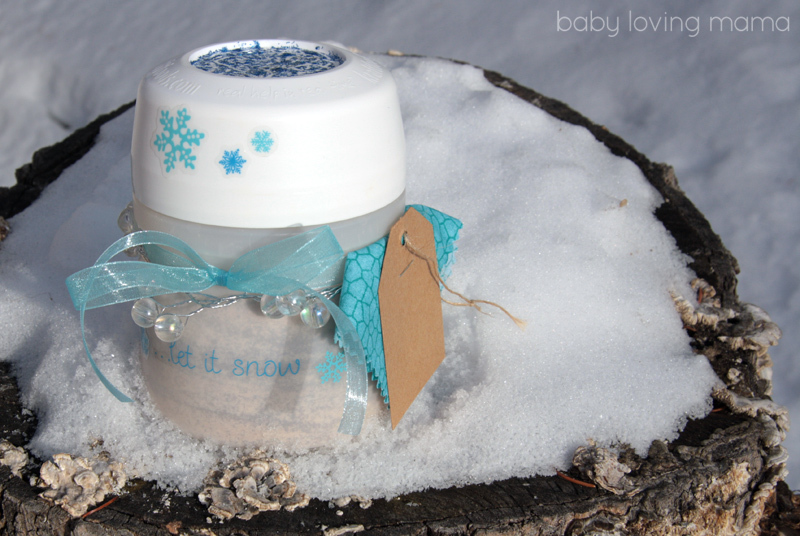 I started with some decorative snowflake stickers that were clear behind the design so they blended well with the container. Next I unwound my wire glass accents and attached them around the little inset portion of the drink mix container. I wrapped the wires around each other flat on the table to the length I needed and then wound them together at the ends to attach. Next I made a decorative accent tag. I folded a piece of small fabric into a small square. 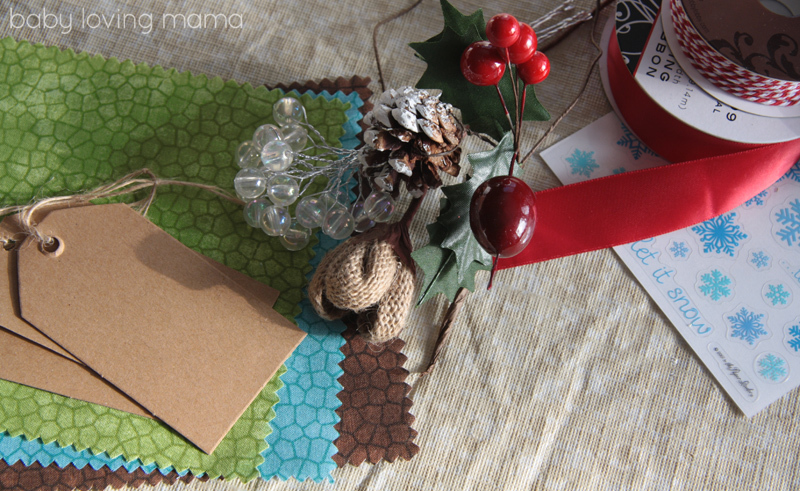 Then I folded over one corner and and stapled the gift tag to it leaving a gap to put my ribbon through. Thread a piece of ribbon through the little gap and it’s ready to tie onto your container in the same area you have the decorative glass accent. The ribbon alone would be beautiful if you’d like to simplify. Once your container is decorated it’s time to cover that ugly date on the top of the lid. I used dark blue glitter glue but silver would be beautiful with this as well. I applied the glitter glue in circular patterns to mask the text below better. 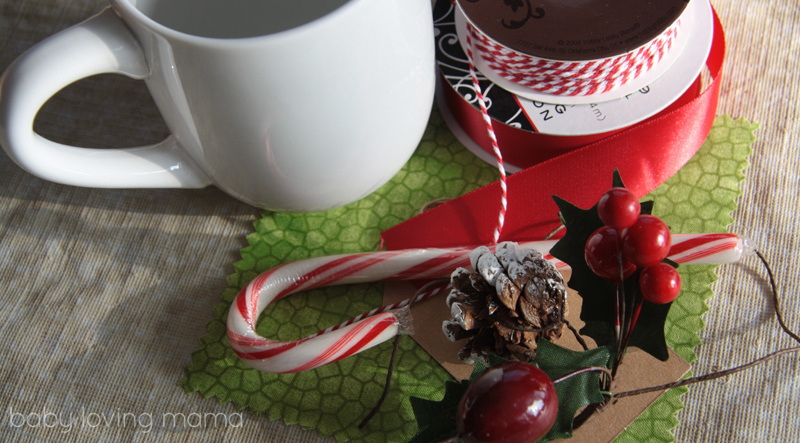 Feel free to add the mix recipe on your gift tag if you’d like. I typically include directions to “add 2-4 teaspoons to 8 oz. of hot water and enjoy”. I’ve found most kids enjoy this tea mix if you’re looking for a fun pre-teen gift. Perhaps the Frozen fan in your life would enjoy this! 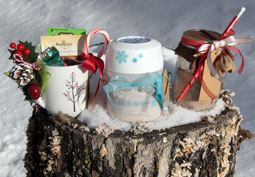 My last cozy corner gift idea is a beautiful canning jar filled with hot cocoa mix and marshmallows. Yummmm. This one is also neutral enough to be used all winter. JoAnn has a large variety of canning jar shapes/sizes/colors online. Fill the bottom 2/3 of your jar with your favorite cocoa mix. Insert a plastic sandwich bag and fill the remaining space with marshmallows. Close with a twist tie and tuck into the jar. 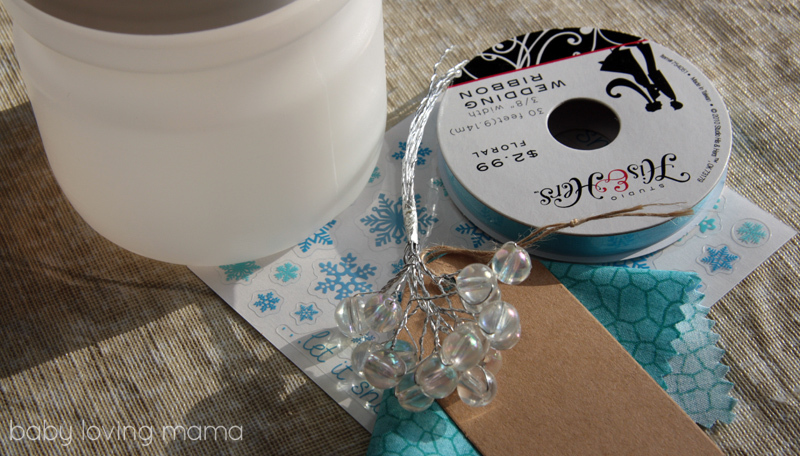 Add a piece of fabric between the metal insert and the lid and secure to the top of your jar. Next I added my burlap floral accent. Since the stem was wire I wrapped it around my lid as far as I could. I twisted a small loop at the end and secured it by adding a long twist tie (from the extra large garbage bags) through the loop and then twisted it around the head of my flower accent. 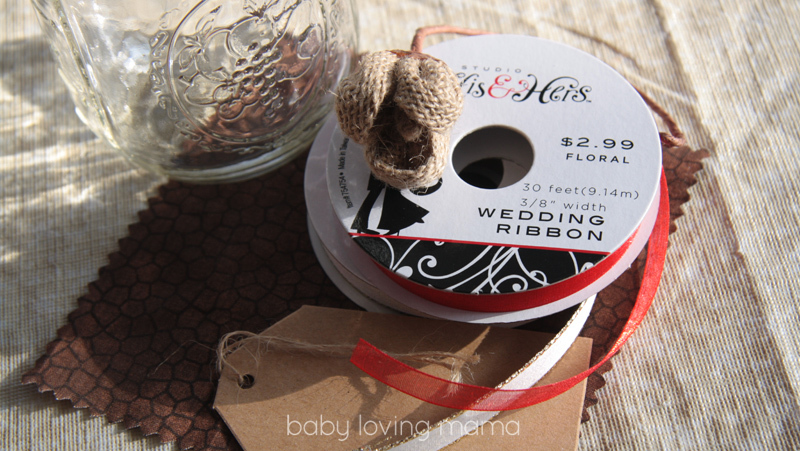 I threaded my ribbon through the gift tag string and tied a double ribbon around the lid, covering the floral stem and twist tie. One of my ribbons has the wire floral trim in it to give some stability to the bow. I love the layered look with the gold accents and the semi-transparent red here. 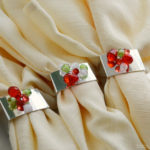 By tying the ribbon close to the flower accent you cover the twist tie secured there. For an added touch you can apply gold glitter paint/glue to the gift tag. 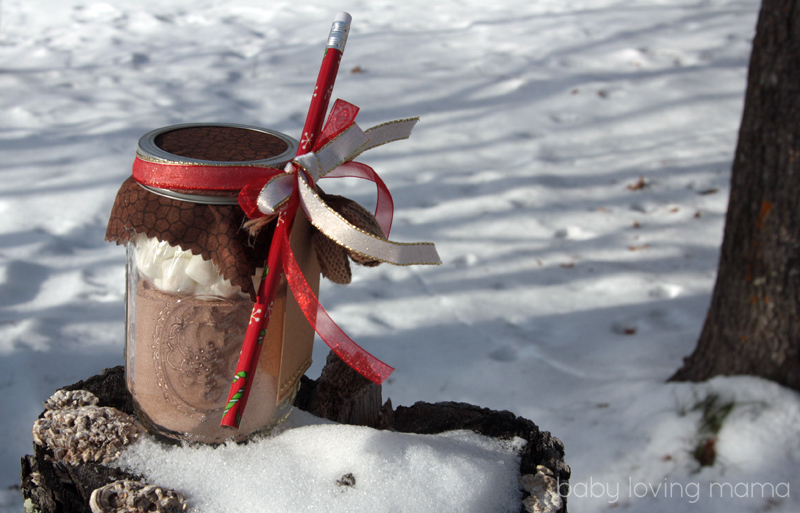 Since cocoa is a childhood favorite I snuck a holiday pencil through the top of my ribbon. You could easily replace this with a candy cane or perhaps a beautiful cinnamon stick. 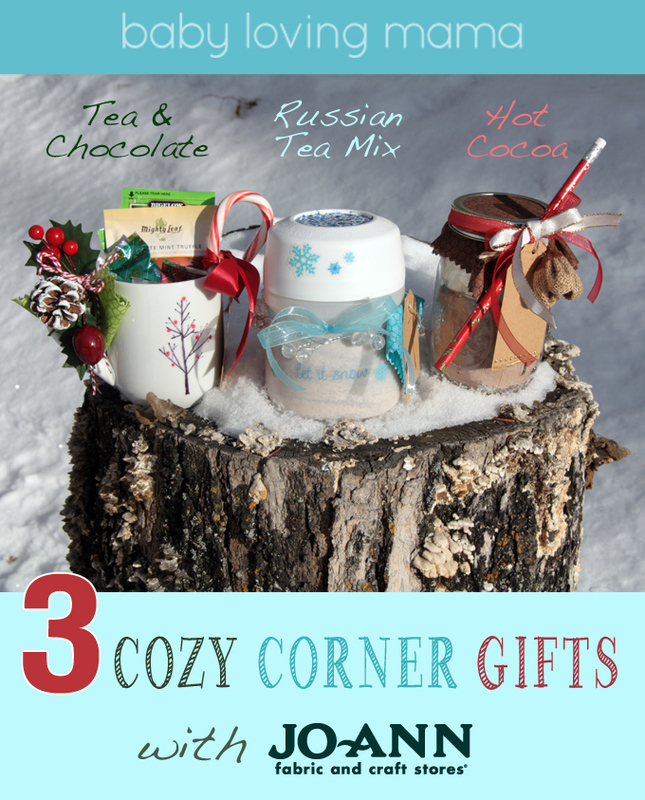 I hope these cozy corner gift ideas have been inspiring for your own homemade Christmas gifts. Head to your local JoAnn Fabric and Craft Store for your decorative inspiration. 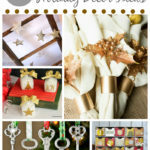 For more gift giving craft ideas be sure to visit the JoAnn Holiday Hub online. 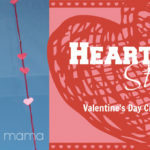 ENTER TO WIN: Online Feature and/or $100 JoAnn Gift Card! Do you have your own crafty idea you’d like to share? Share you own projects using #MakeItGiveIt for chance to be featured on the Holiday Hub and also be entered to win one of five $100 Jo-Ann gift cards! Did you like this craft tutorial? Please share the image below on Pinterest with your friends! Disclosure: This post is part of the JoAnn Fabric and Craft Stores® Make Gifts Merrier campaign. I received compensation for this tutorial; however, this is my personal, honest opinion based on my experience. 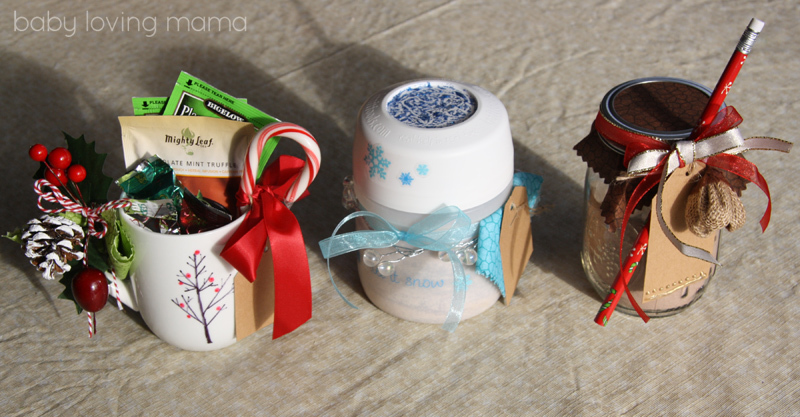 What adorable homemade gifts! 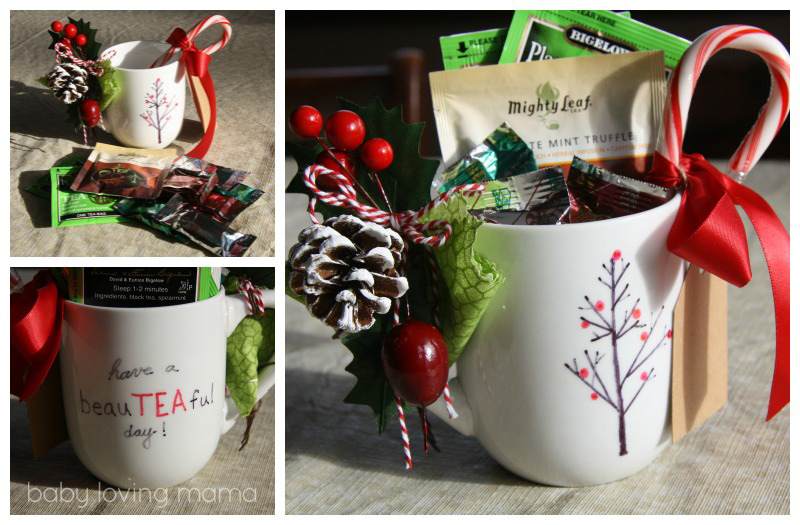 I love the tea and chocolate mug gift. Very nice! 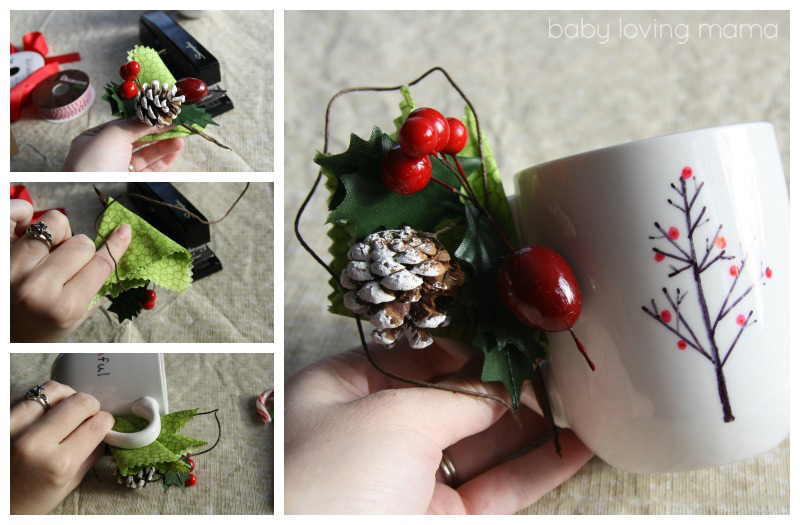 I love christmas tree mug! These are some really great gift ideas I will have to remember for next Christmas. Nice work on the mugs. Fun gifts.